What Are the Best Tips for DIY Loft Insulation? The purpose of do-it-yourself (DIY) loft insulation is stop heat from leaving the home and reducing the energy bill. The cost of insulating the home can be recouped through the energy savings it provides. It is best to avoid installing the insulation in a warm climate, be sure to wear safety equipment, and always clean up the loft before proceeding. When the job is complete, make sure that all cables are left uncovered and that the insulation has not been placed beneath any cold water tanks as heat from the ceiling is needed to stop these tanks from freezing in winter. DIY loft insulation is often a good idea because it helps to save energy by preventing the heat produced in the home from escaping through the roof. Experts recommend insulating the loft to a depth of 11 inches (27 centimeters), though any level of insulation is guaranteed to reduce a home's energy bills. The best time to carry out DIY loft insulation is probably in the late winter or early spring months because working in a loft during hot summer temperatures is far more difficult. When it comes to DIY loft insulation, safety is the key. 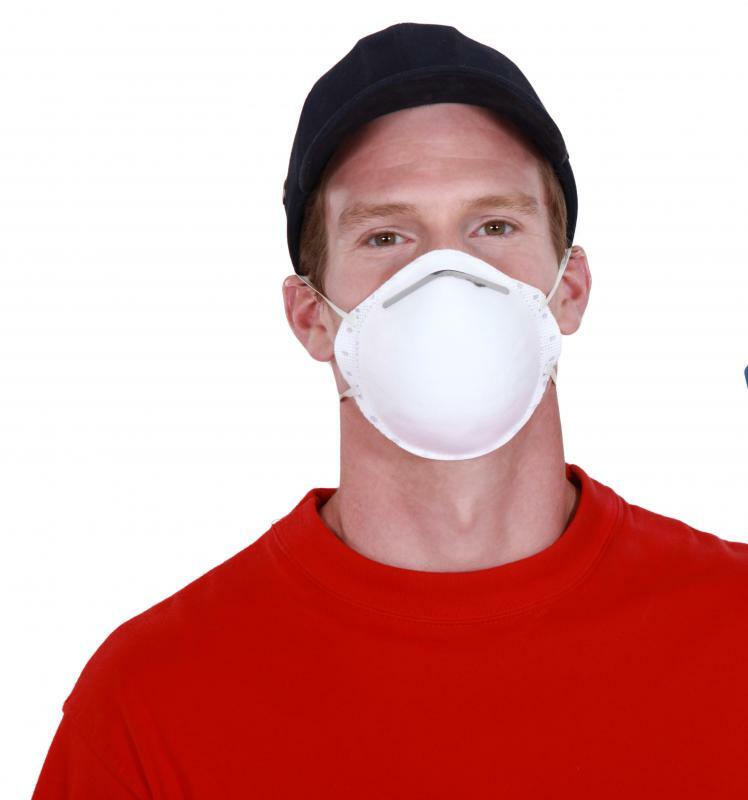 Such a job should never be tackled without the requisite safety gear, including gloves, overalls, and a mask to protect the face and to prevent breathing dust. Insulation fibers can often be unpleasant and may cause irritation to unprotected skin. It's a good idea to have plenty of light in the area and to clear the the loft of all clutter. A large number of items should be removed and stored elsewhere for the time being. As a general rule, DIY loft insulation material comes in the form of rolls, which can be laid flat on the ground between the joists before being placed on top of them. The installer's weight needs to remain on the joists, or he or she could fall through the ceiling. Placing some sturdy boards in the loft and using them to walk on while insulating the area is a good idea. The insulation should be unrolled, and the procedure should start at the eaves, taking care to leave about 2 inches (5 cm) of room between the eaves so that air can continue to flow into the loft. The loft should be measured as this makes it easy to cut the insulation roll to the necessary length. The process of DIY loft insulation should not stop until the entire area has been covered. If there are any electrical cables in the loft, they should be laid above the insulation, or they could overheat. All pipes and cold water tanks in the loft should be covered with roll because the insulation procedure causes the temperature of the loft to fall. As a large number of DIY stores sell insulation roll, it should not be difficult to find a suitable product. What Are the Best Tips for DIY Scaffolding? How Do I Choose the Best DIY Ideas? What is an Attic Loft? What are the Best Tips for Cost-Effective Attic Heating? What is Energy Conservation Management?